A look back at the Tapestry of Dreams. 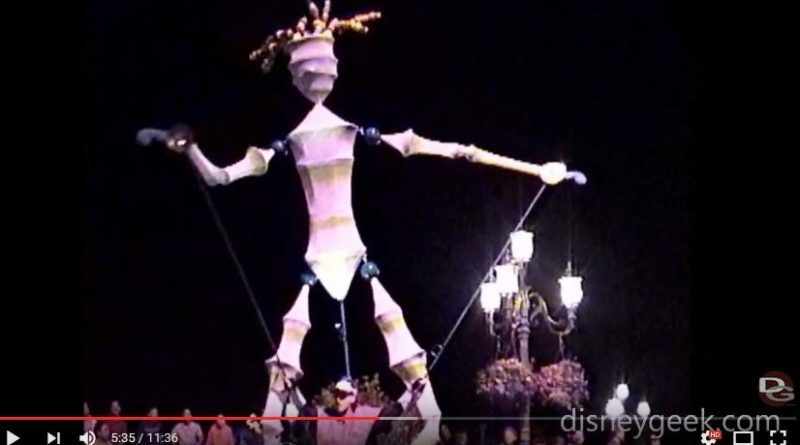 This procession made its way around the World Showcase at Epcot from 2001 to 2003. It was a slightly modified version of the original Tapestry of Nations that ran from 1999-2001 as part of the millennium celebration.